Bardia Jungle Safari is the second most popular safari after Chitwan. Due to the long distance location from Kathmandu Valley, one-hour flight journey is the shortest and easiest mode of transportation. Travelling with a flight, of course, is an expensive option, that’s why only a few wild adventure lovers visit Bardia National Park. Via road, Bardia is 585 km long distance from Kathmandu and takes ten to eleven hours driving. House of several mammals, reptiles, and birds, Bardia is the largest, fresh and uncrowded protected national park in the western Terai region of Nepal. Endangered species like Royal Bengal Tiger, One-horned Rhinoceros and much more are the jewels of Bardia National Park. Covered of Savannah, and Sal Forests and grasslands, the park inhabitant more than 250 beautiful birds, wild elephants, gharial, marsh-mugger crocodile, gharial, crocodile, blackbuck, dolphin, silver eared mesia, sarus crane, Bengal florican, and many many. Our Jungle Safari to Bardia National Park begins with an hour of scenic flight from hilly Kathmandu to flat Terai at Nepalgunj. A guide from the resort will pick you up from the airport then, transfer to the resort. Explain about the whole program you will be participating in and have lunch. After short rest explore the ethnic Tharu Village and nearby attractions. Spend two days on wild jungle activities at Bardia then fly back to Kathmandu. Day 01: Fly Kathmandu to Nepalgunj & drive to Bardia National Park. Fly to Nepalgunj, 1 hr flight. Arrival and drive to Bardia National Park, 85 km - 2 hrs by private car. Check into hotel and brief introduction to the whole program. After short rest, proceed to visit the Tharu's lifestyle and their culture in the nearby Tharu Village. Visit Bardia National Park Center and Crocodile Breeding Center. Day 02: Explore Bardia National Park. Whole day walk through the natural dense forest to explore the wildlife with a guide. Day 03: Explore Bardia National Park. Today's activities are Jungle Walk, Elephant Back Safari, and Jeep Safari. Day 04: Fly back to Kathmandu. Bird Watching tour in the morning. After lunch drives back to the airport. Bardia Jungle Safari Trip finished here! Kathmandu & Nepalgunj airport pick up and drop by private car. Kathmandu to Nepalgunj and back flight tickets. Twin bed sharing hotel accommodation at Bardia. Everyday breakfast, lunch, and dinner. All the above-mentioned jungle activities at Bardia. Necessary park permits, and entry fees. 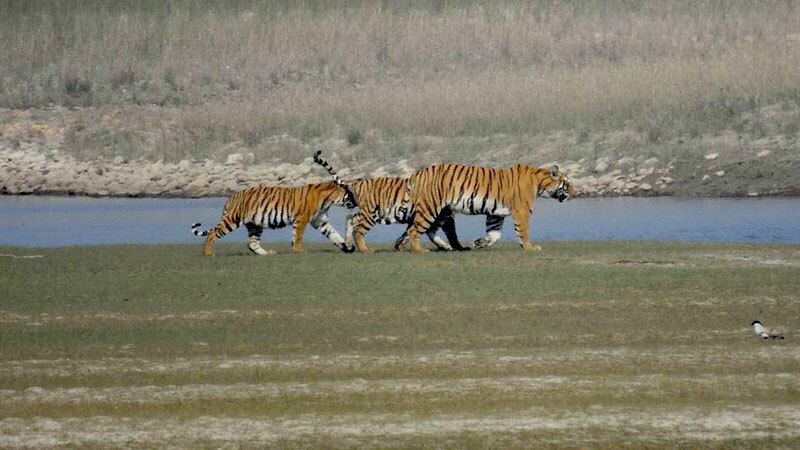 Wants some modification on Bardia Jungle Safari itinerary? contact us to customize it.